The aftermath of modern conflicts, deeply rooted in political, economic and social structures, leaves pervasive and often recurring legacies of violence. Addressing past injustice is therefore fundamental not only for societal well-being and peace, but also for future conflict prevention. In recent years, truth and reconciliation commissions have become important but contentious mechanisms for conflict resolution and reconciliation. This book fills a significant gap, examining the importance of context within transitional justice and peace-building. It lays out long-term and often unexpected indirect effects of formal and informal justice processes. 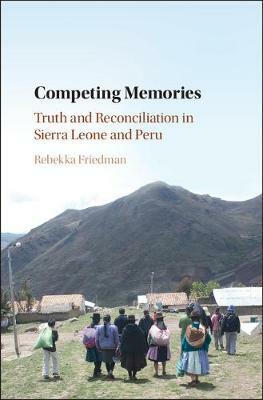 Offering a novel conceptual understanding of 'procedural reconciliation' on the societal level, it features an in-depth study of commissions in Peru and Sierra Leone, providing a critical analysis of the contribution and challenges facing transitional justice in post-conflict societies. It will be of interest to scholars and students of comparative politics, international relations, human rights and conflict studies.